"It Pays to Use Hayes"
Thank you for your interest in Hayes Painting Inc. We offer a wide variety of services in residential and commercial work. With over 29 years of experience, we bring a vast amount of knowledge and skill to the job. 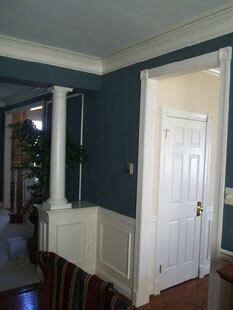 From preparation to finish work, our expert painters and carpenters will make your house look like a model home. Why deal with four or five different contractors and all that crazy, stressful scheduling when Hayes Painting Inc. and our team of experts can do it all! One contractor, one contract, one schedule. Our prices are very affordable. We are usually not the lowest price in town and never the highest, but our quality is always the highest you will find. 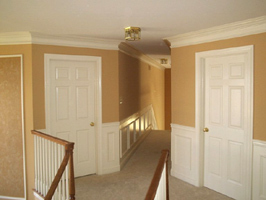 We are prompt, very neat and clean, and customer satisfaction is number one with Hayes Painting Inc.
Visit our Services Page to view images of our work including Foyers, Fancy Mouldings, Shadow Boxes and Faux Finishes!